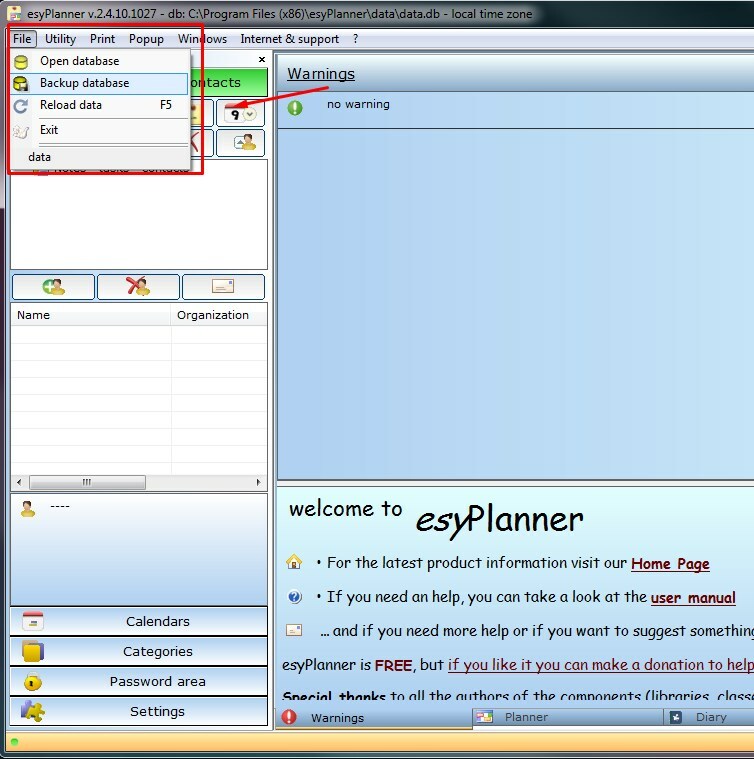 I love esyPlanner, but now I need to transfer it to another computer. How do I make my old information and appointments come along with a new computer? I have the app there, but the old info does not show. You will have to backup the data from the old version of the software and then import it to the other computer. The correct procedure is the following: open the application on your old computer, then go to File > Backup Database. Save the file to a location of choice and then use a flash drive or email the file to yourself. On the new computer download or transfer the file and go to File > Open Database and that's it. When I sync my Galaxy Note with Exchange the notes inside the task are cut short to a maximum number of letters. How do you change calendar to start weeks on Sundays?